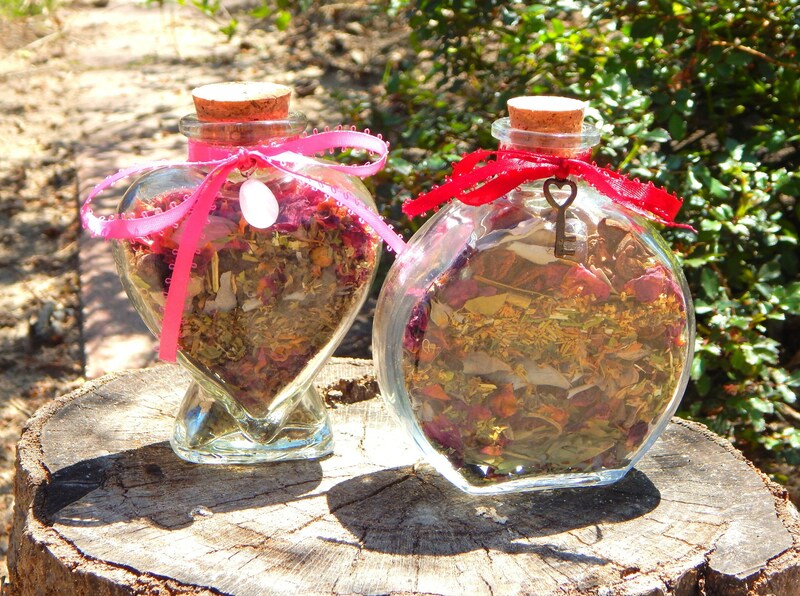 An ornamental and 100% hand-crafted custom Love bottle for CURIO, crafted in a 4.4 inch heart shaped glass bottle. This would look magnificent as a part of any Altar, and doubles as home decor. Select your theme- Love attracting, Desire me (similar to my hoodoo 'come to me boy') or Passionate Marriage (for those in a committed relationship). 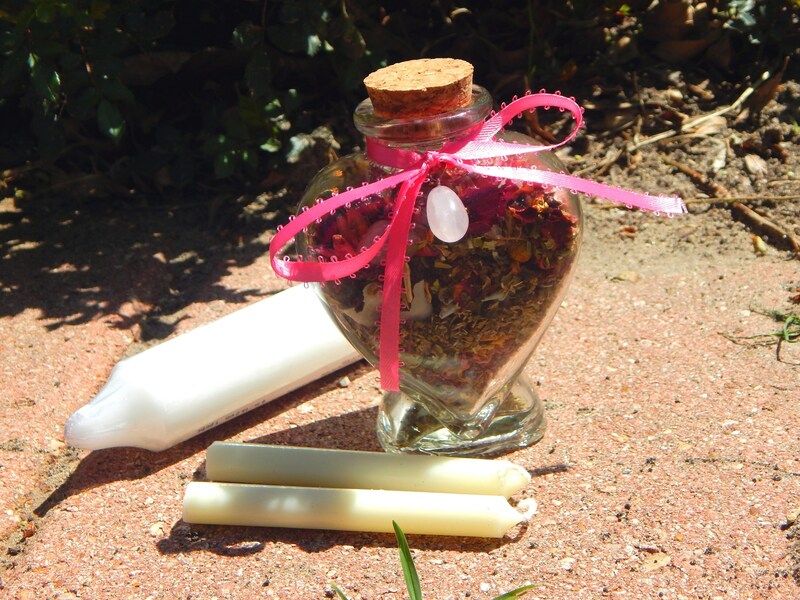 Each bottle comes charged and will include 15 corresponding premium herbs, tumbled and natural gemstones, A large candle to seal your bottle, two small chime candles, full instructions and a blank petition for you to personalize. The bottle comes sealed with a cork so that you may add any personal effects you desire. 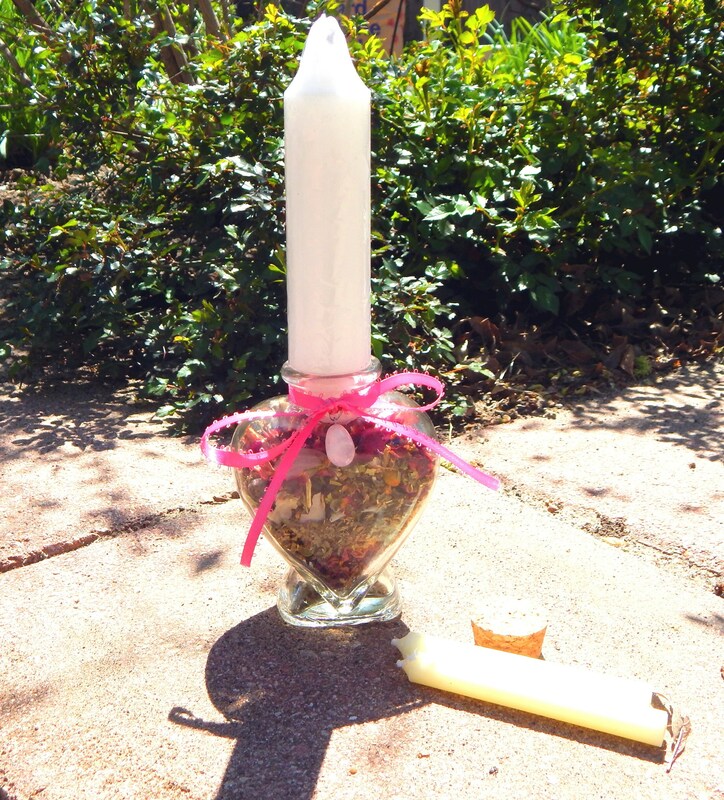 This kit can also double as a sweet or honey jar base, if you add your own sweeteners. Colors and kit ingredients may vary based on availability and customer specifications.